by Ralph Benko, Contributing Author: Last week, the Virginia House of Delegates Rules Committee passed, by an 11 – 1 bipartisan majority, a bill to establish “a joint subcommittee to study the feasibility of a United States monetary unit based on a metallic standard, in keeping with the constitutional precepts and our nation’s founding principles….” Such a study could prove to be a very big deal indeed. 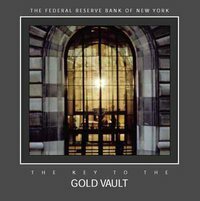 Tags: yes Virginia, Virginia, Constitutional Monetary Unit, gold, gold standard, Ralph Benko To share or post to your site, click on "Post Link". Please mention / link to the ARRA News Service. Thanks!